What are spiritual blockages and how can you release them? 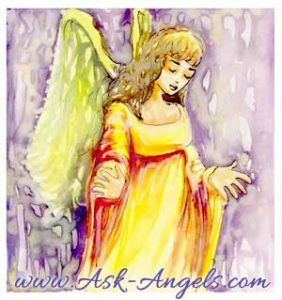 So you know angels are real… And you accept that you have a team of light beings with you? However, you may be struggling with getting any clarity on your guidance for yourself – let alone for other people, and you've tried all of the methods that you've seen out there and are still unsure that you aren't imagining things. The Angels want you to know you Do have a gift. If you are reading this it is likely that you are ‘waking up' and that working with your intuition in your life is possible. To help others is part of your souls mission ‘this time round'. Perhaps you have been frustrated because no matter what you do nothing seems to be any clearer, it's like hearing someone speak to you through dense fog, if at all! Blocks are either energetically within your energy system, or limiting beliefs of how it really ‘is' to hear and perceive Energy. ‘Blips' are when you are receiving energy but you aren't sure or clear that you are really hearing or sensing it. Blocks and Blips can all be erased from your radar. The ‘cancer' of spiritual development is frustration, it's akin to a runner not warming up. It means that even if you Were receiving guidance and perhaps working your way towards understanding it in a clearer way – the frustration actually makes a wall between you and the awakening that was only a little further ahead. So if you like many developing intuitives are experiencing frustration the Angels want you to know that the fastest way to get to where you would like to be is to relax and go with the flow. Imagine a doctor trying to administer an injection to a wriggly child. It's over and done with if for one moment the child holds still, but the more the child wriggles the sorer the ‘site' will be, and the more obvious the ‘pain'. You are already working with your intuition, however when you see and hear that people are able to See externally or Hear externally and you just cant get there, then it can seem as though you were nowhere near in the first place. When starting out in business I interviewed any and as many mediums clairvoyants and psychics as I could and they all echoed one thing at me, that even if they Did see or hear externally it was usually at a time of extreme emotion of personal timing and rarely happens for another person. Of course there are exceptions to this rule. Most Intuitives are exactly that, a person with two well developed Clair senses that work in unison and secondly a very good understanding of When they were working in Unison and when it was simply their imagination. Intuition is the ‘bridge' that ties the guidance with the the faith that it is guidance from ‘elsewhere'. Clair Audience – Can be external – however it can and usually is internal in your inner mind voice. Clair Voyance Can be external – however it can also be like remembering a photograph from years ago slightly hazy and noticing signs in the outside world meant for you. Clair Sentinence can by physical – it can also be feeling that you understand how another person is feeling even if you don't actually feel this way yourself. The most important thing when discerning outside guidance from your mind is setting the scene. If guidance comes in and it is judgmental towards anyone, then it is your ‘ego' or fear speaking. By speaking a prayer before feeling into your heart or your third eye you can be sure that you have cleared the way for guidance to enter. is meant for the other person. As an Empath if I suddenly start feeling emotional over a personal issue or paranoid over something in my life during a reading – I Know it is meant about a situation in another persons life. Spirit will use your own boundaries of what feels comfortable or uncomfortable to you to raise issues or flags around someone else. So if you never experienced any blockages or constriction or delays how would you ‘know' that you had achieved something? say the angels…. Common blocks are expecting results to come quicker or to show up in ways that are just not like that. Whether you are mad with yourself for ‘not getting it' or mad with Spirit for ‘not making it easy for you' understand this – growth comes from deciding whether to give up and let flow or give up and let go. If you can enjoy where you are you will get where you wish to be faster. Perhaps you have asked, cajoled, or demanded that the Angels or your Guides ‘Show you the way' or ‘bring me what I need' but have you realized that in any relationship there is give and there is take? It is to expect them to show up (they always do) it is also to ‘show up with your best face on' yourself. In other words to raise your vibration to meet them half way. If we lived in a tower block of apartments they would live on the 94th floor and we would live on the 4th (dimension) they have a Lot further to come down than we have to go Up and yes it takes effort. Faith is about knowing that they are who they say they are. And being happy to make the journey as joyous and as easy for yourself as possible. It is about being able to know you went the whole extra mile and you would do it again. Being prepared to raise your vibration is all about going up and going in. Through Meditation, appreciation, gratitude and having an open heart you will begin to receive the guidance that is always being beamed at you. Allowing yourself to remove and clear limiting beliefs of ‘how it must be' (like expecting a handsome prince on a dashing charger rather than accepting that relationships take work) and clearing and cleansing your energy regularly is allowing yourself to enjoy this process. When you are accepting of where you are and how it feels even if you don't ‘like it ‘it will allow you to see that by choosing to like it and work with it you can create your own masterpiece. Blocks are building blocks, they are put here to ask you ‘are you really ready for this?' you may be. If you would like some help in clearly knowing what your gifts are, and help with developing them to the next level then a Spiritual Gateway reading may be for you. In one hour we will introduce you to your main guide or Angel, we will identify what your predominant gifts are, and we will explain how your gift has been showing up in your life in recent times. We will then speak with you about your desires, do you wish to read for yourself? Do you want to manifest solutions to problems? Or perhaps include your intuition in your business? If you really wish to move mountains move those blocks first. A one hour session can be enjoyed via skype from anywhere in the world and you are also going to receive a personal channelled message from the spiritual team around you during your session.